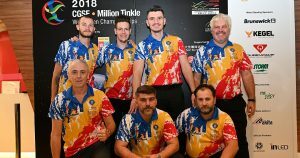 Sunday afternoon was the final three games of the team preliminaries for the bottom half of the field after Saturday’s opening three-game series in the 2018 CGSE • Million Tinkle World Men Championships, which is heading into the home stretch of the event at SCAA Bowling Center in Hong Kong, China. 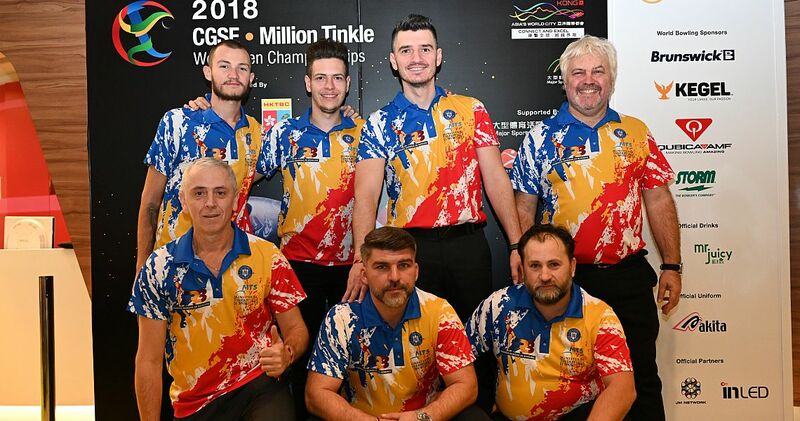 Maxim Okorokov, Alexander Medveditskov, Alexander Vasekin, Sergey Andreev, Aleksei Parshukov and Ivan Semenov of Russia (featured photo) were the red leader of the teams positioned 27 to 41 after the first block yesterday with 5689 total and an average of 189.63. 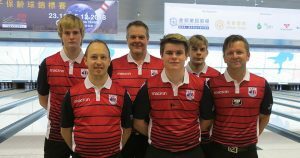 The Russians posted games of 980, 967 and 937 in the second block for 2884, the third-highest series on Sunday. 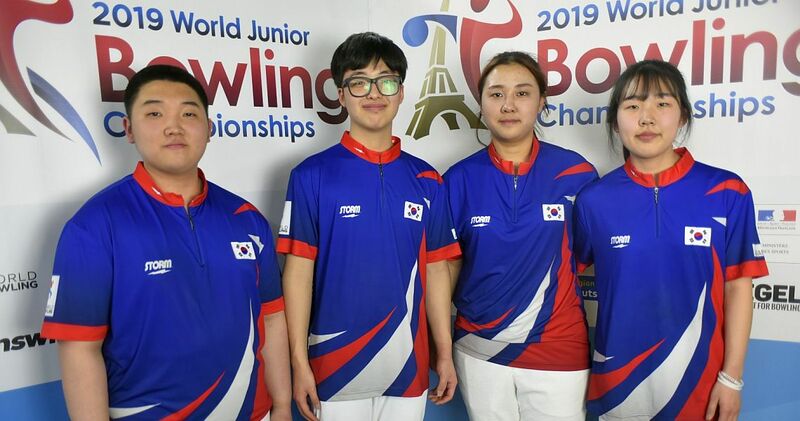 Kuwait (right) had the highest block with 2956 to finish fifth among the best of the rest with 5589, while Norway (left) was second with 2901 and 5671, respectively. 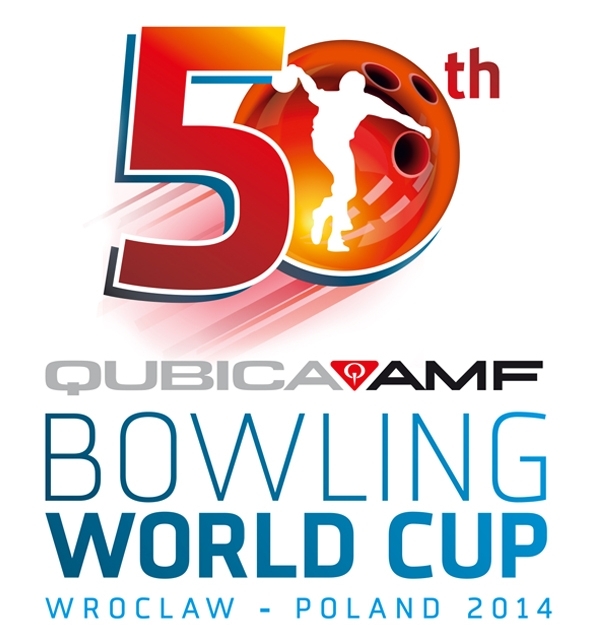 Romania finished Squad B in third place with 5644 and Peru was fourth with 5604. 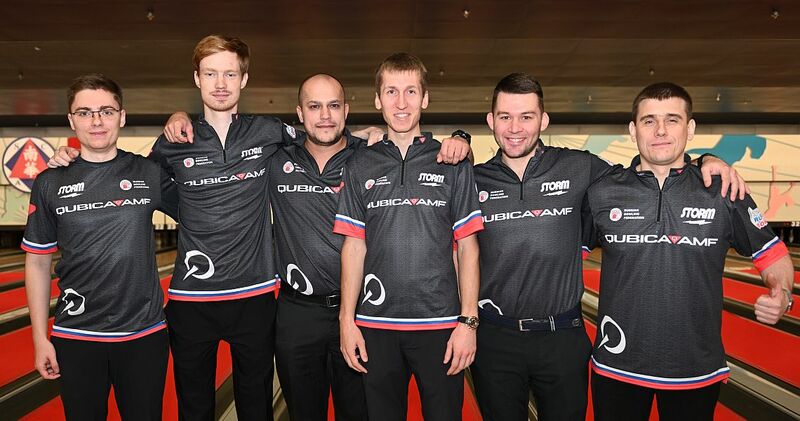 Officially, Russia, Norway, Romania (right) and Peru (below left) are currently qualified for the medal round. 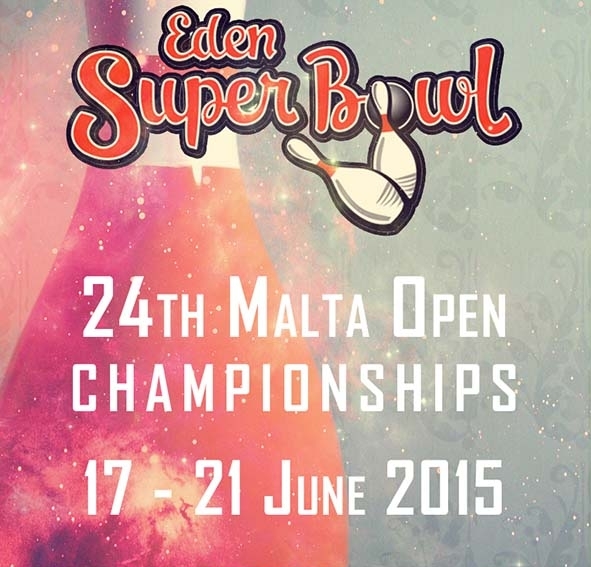 However, you don’t need to be a prophet to know, that most of the top 26 teams will overtake those four. 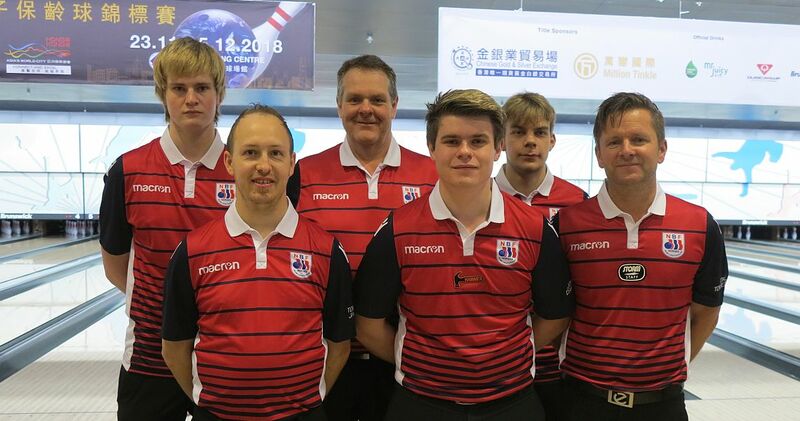 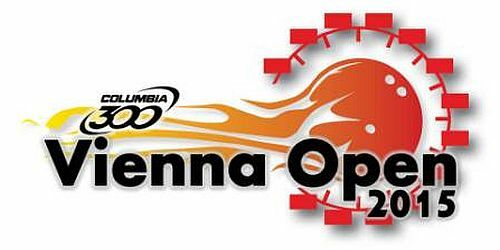 The top half of the field (places 1 to 26) will bowl its final three games of team Monday, followed by the trios semifinals and final at 18.00. 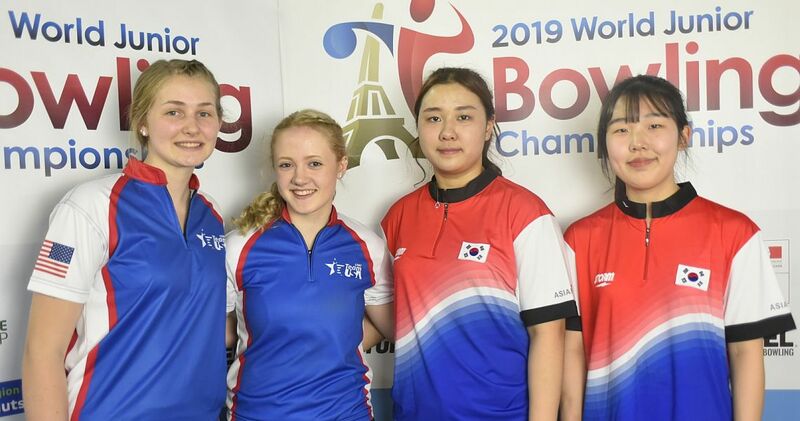 The medal round for the team event will take place Tuesday, and the tournament will end with match play Masters Wednesday. 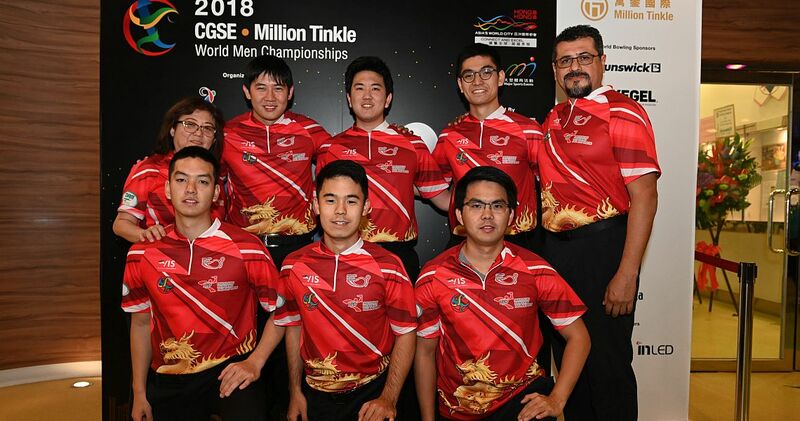 The 2018 CGSE • Million Tinkle World Men Championships will be held from Nov. 23 to Dec. 5 at 40-lane South China Athletic Association (SCAA) bowling center in Hong Kong, China. 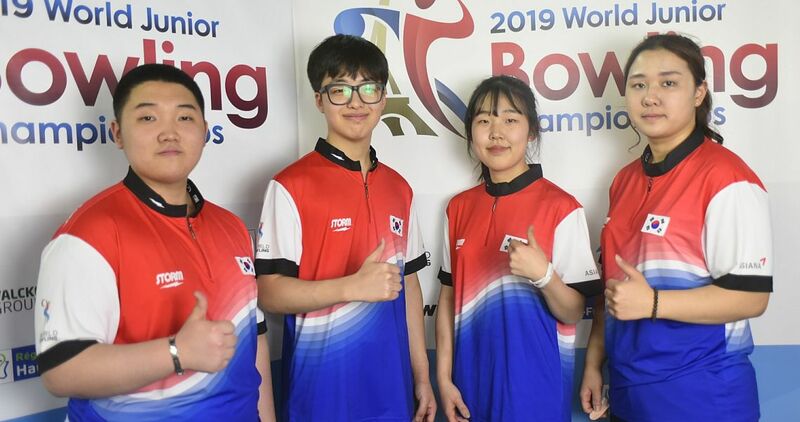 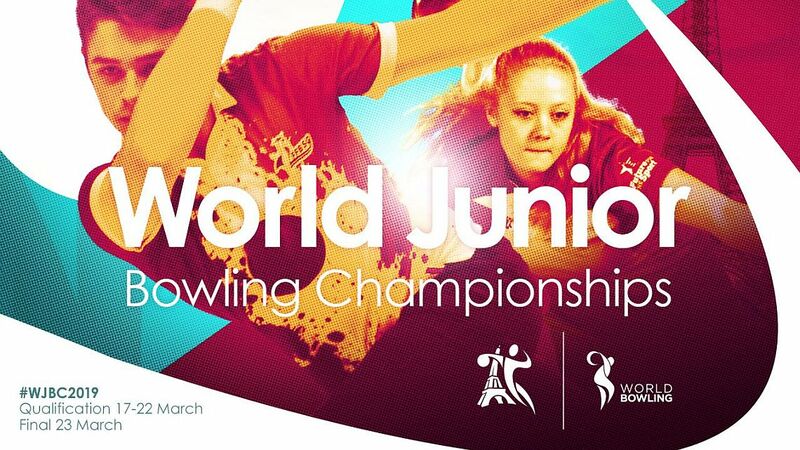 The Championships are being hosted by World Bowling, bowling’s world governing body, and the Hong Kong Tenpin Bowling Congress. 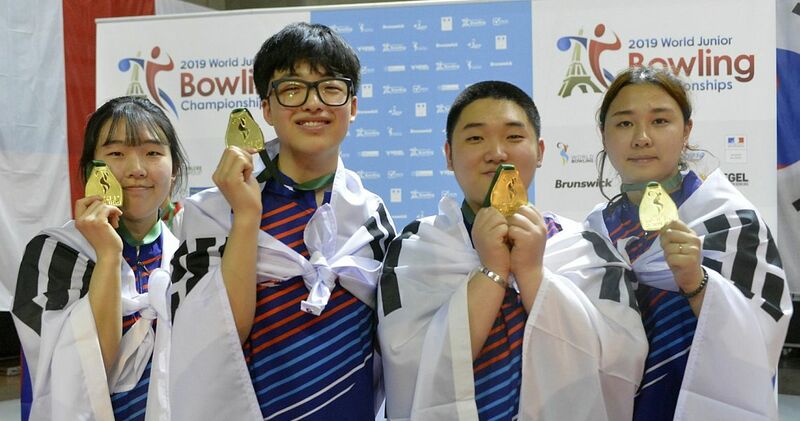 Pos Player/Country G1 G2 G3 Pins Avg.